Q. Where can I find criticism on poetry? NOTE: If you are looking for a poem instead of literary criticism, please see this FAQ. You can also find literary criticism books (in print) through the Library Catalog. The Literature Resource Center divides up search results by content types, and the first one is Literature Criticism (see screenshot). 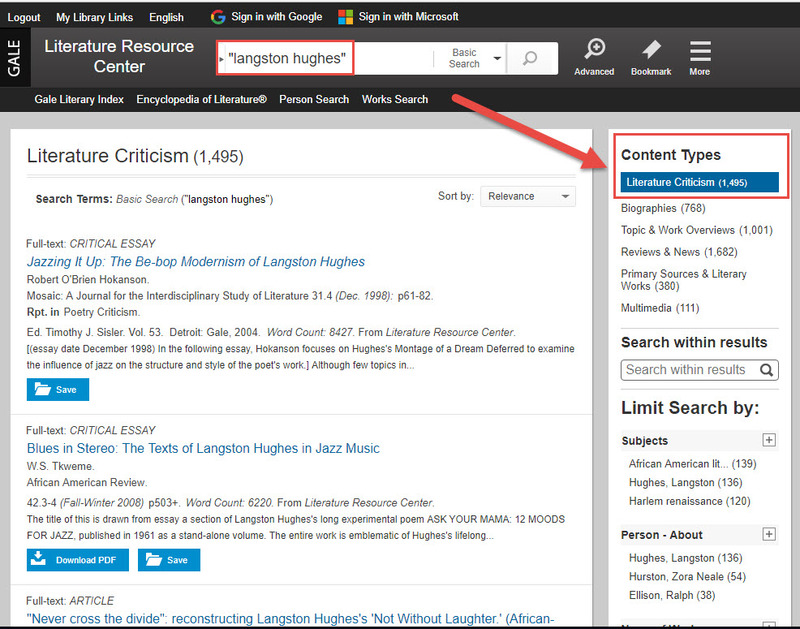 You can also try a search using the term "literary criticism" and the title of the poem or name of the author. For example, "literary criticism" AND "Amy Lowell".